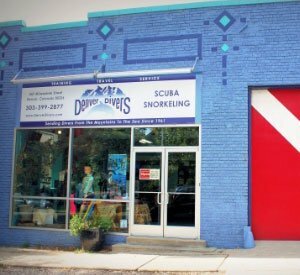 If The Swim School of Denver is forced to cancel lessons due to unforeseen facility closures, severe weather conditions or instructor illness, you will have the option to schedule a make-up lesson or receive a credit. In the event of inclement weather, we will follow Denver Public School closures and not conduct lessons if Denver Public Schools are closed due to weather. We do NOT follow a delayed start schedule. Unless Denver Public Schools are canceled (due to inclement weather only) we will follow our normal schedule. We do not guarantee that you will receive make-up lessons. If you are unable to attend lessons due to illness, travel, or other reasons please give us as much advanced notice as possible by sending an email to info@theswimschoolofdenver.com. Please understand that you are paying for a time slot that is considered sold regardless if your child can attend. We do our best to offer a limited number of make-up lessons. However the lessons may be offered at a different location, with a different instructor, or at an alternative time than your regularly scheduled lesson. We typically discourage scheduling a make-up lesson on the same day that your child regularly attends lessons. A no show/no cancel student is not eligible for a make-up lesson. Please send an email to info@theswimschoolofdenver.com if your child is unable to attend their lesson. In an effort to keep everyone healthy, please keep your child home if they have had more than two episodes of diarrhea within 24 hours, have a fever, are lethargic, or have been diagnosed with a contagious illness such as pink eye, croup or strep. Please consult your child’s pediatrician to see when it is recommended that they return to lessons. If your child has a low grade fever associated with teething or general cold symptoms, it is typically ok to participate in lessons. Please inform your instructor if your child is not feeling 100%. A limited number of make-up lesson times will be available each session on a first-come, first-serve basis. It is not guaranteed that you will be able to schedule a make-up lesson, especially if your child misses more than one lesson per session. We kindly ask that you schedule your make-up within the session of the missed lesson. Make-up lessons do not carry over from one session to the next. Make-up lessons can be scheduled online through our Swim Scheduler. If you do not initially see a make-up lesson that works for you, please check back as we are continually adding make-up lessons to the schedule, as we are informed of students who are unable to attend their regularly scheduled lessons. You MUST be currently enrolled in lessons to be eligible for a make-up lesson. If you miss your scheduled make-up lesson you may NOT reschedule. Make-up lessons may be offered at a different location, with a different teacher, or at an alternative time, than your regularly scheduled lesson. We typically discourage scheduling a make-up lesson on the same day that your child regularly attends lessons. *Make sure to follow all steps and click complete transaction, to submit your request. You will receive an email confirming your REQUEST. We will then send a follow up email confirming or denying your request. In order to submit your make-up request you must have current payment information on file. Once you have enrolled in lessons, we have a 21-day advanced written cancellation policy. Please send your request in writing to info@theswimschoolofdenver.com. We will make every effort to help you reschedule missed lessons due to family or medical emergencies. We do not offer refunds. We take great care to provide our customers with the class they need, at the time that they prefer. Once a student has reserved a lesson or a spot in a class, that spot is no longer marketable and considered sold. Please do not start your child in this program unless you fully intend to complete the entire learning process. The initial training period is a very critical time of adaptation to a new environment, instructor, and technique for you and your child. It can be a time of very low self confidence in the water because the child has not had time to acquire and perfect his or her skills in the aquatic environment. If the child’s lessons are terminated during this time, the foremost thing the child will remember about the water is that lack of self-confidence in and around water. Our instructors’ specialize is working with children who may fear the water, and the instructor does not want to be involved in putting a child in that situation. Therefore, make sure that this program is for your family before you register. Then, stay with it and support your child in every way until he or she is skilled and ready to participate in group classes, or continue in once or twice a week private maintenance lessons.